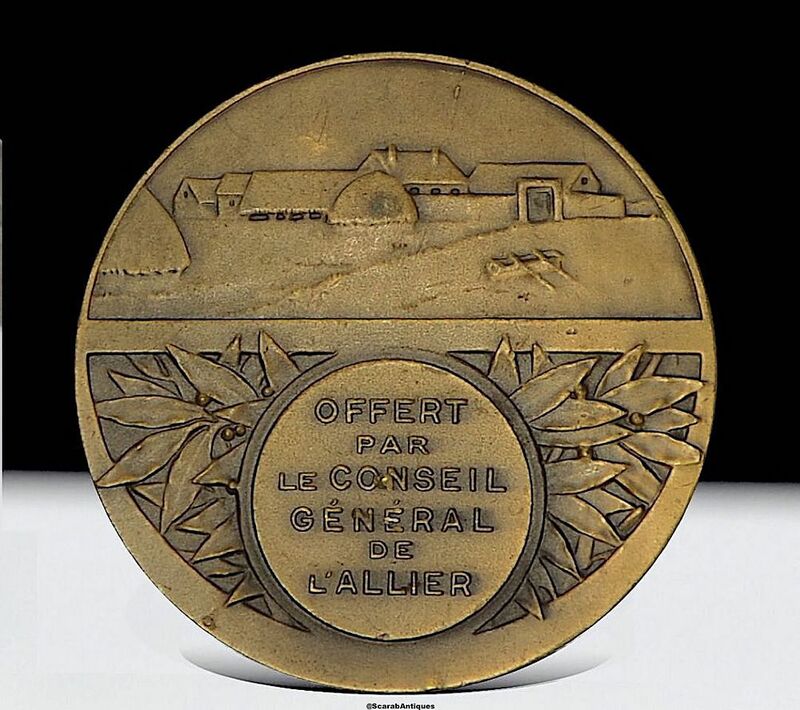 There are really nice images on this French bronze medal by Rene Boudichon. 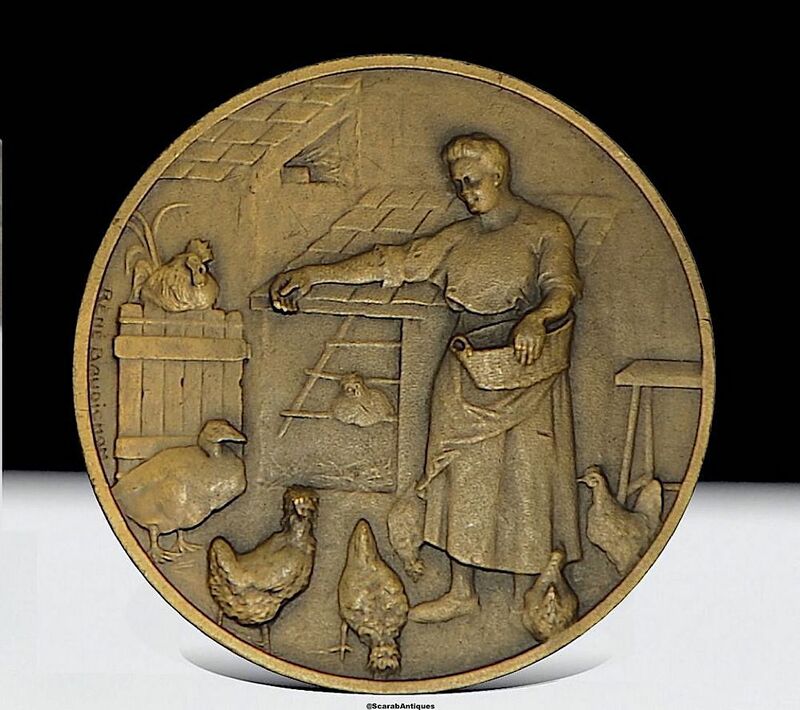 The obverse depicts a woman feeding grain to hens from a basket with hens and a duck around her feet a cockerel and henhouse in the background. It is signed "Rene Boudichon". The reverse is divided into halves, the top half depicting a farm and the bottom continuing a round cartouche stamped "Offert par le Conseil General de l'Allier" surrounded by laurel leaves. The rim is stamped "Bronze" and has a square foundry cartouche. Born in Tours, France, studied at the École des Beaux-Arts Tours, and graduated from the École des Beaux-Arts in Paris.